The MPO sponsors many transportation planning studies that are performed by various entities including MPO staff, partner agencies or private consulting firms. The studies listed in this section have been funded by the MPO. 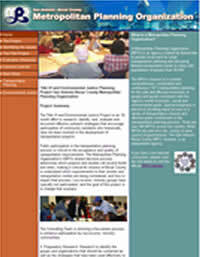 The MPO considers the needs a community will have in the future as well as those it has today. The mobility needs of people and freight, land use and zoning decisions, safety, roadway aesthetics, community design and availability of funding are taken into account. The studies allow the MPO and its member agencies to make informed decisions regarding funding implications, transportation services, infrastructure improvements, and educational and safety programs related to driving, walking, bicycling and transit. Note that many of the studies require Adobe Acrobat Reader to view. 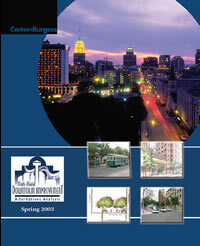 This study developed, analyzed and evaluated a broad range of transportation alternatives for Downtown San Antonio. A Locally Preferred Alternative for improving transportation in the Downtown is recommended. The Locally Preferred Alternative consists of multimodal improvements supported of the Downtown transportation and development goals. This study was funded through a federal earmark and the time period for this study was 2000-2003. "Bicycle Map" and "Road Diet"
The purpose of this study was to evaluate and make recommendations on the existing Bike Share program within Bexar County and determine the feasibility of implementing a bike share program in New Braunfels, Seguin and Boerne. The MPO initiated the Brooks City-Base Infrastructure Needs Assessment in 2002 as a follow-up to a previously completed study by the City of San Antonio for the future development of Brooks City-Base. The City's study focused primarily on land use issues within and surrounding the site, formerly known as Brooks Air Force Base. The study concluded that the lack of appropriate infrastructure would be a serious deterrent to developing much of the site now owned by the Brooks Development Authority. This study included an evaluation of various transportation infrastructure improvements that address mobility, accessibility and connectivity issues within Brooks City-Base and surrounding community. Recommendations were made for both motorized and non-motorized transportation based on a series of adopted goals, evaluation criteria and public input. TxDOT, the Capital Area MPO and the Alamo Area MPO initiated a study to develop a framework of bi-regional strategies to enhance the mobility within the greater Austin-San Antonio region. This framework was developed using a two-pronged approach: a comprehensive technical analysis and a stakeholder engagement process. 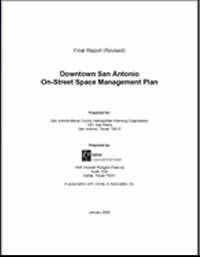 The purpose of the San Antonio On-Street Space Management Plan is to assess on-street space usage and, as appropriate, identify potential strategies to better manage the use of public curbside space. The need for this study, in large part, stems from an increase in employment, residential, retail, and tourism-related activities in downtown San Antonio. The growth, coupled with narrow streets and adaptive re-use of historic structures with few off-street parking and loading facilities, has led to a highly competitive environment for both long and short term curbside use. 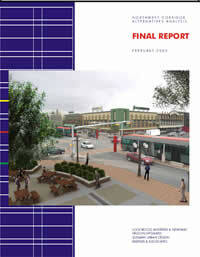 Both the East Corridor Multi-Modal Alternatives Plan and the Arena District Community Redevelopment planning studies were initiated in 2002 as a joint effort between the Alamo Area Metropolitan Planning Organization (MPO), the City of San Antonio, Bexar County, the San Antonio Spurs and the Community Economic Revitalization Agency. The primary purpose of the studies was to create a future development and revitalization plan with a complementary transportation plan. The MPO sponsored the development of the transportation plan. The transportation element consisted of an evaluation of various transportation alternatives that would support the long term land use changes proposed within the study area. The range of recommended improvements includes those for enhanced economic benefit, improved traffic operations and safety and improved transit services. The recommended projects listed in the study were selected based on the adopted goals, evaluation criteria and public input. 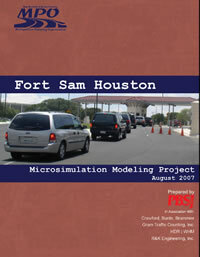 In 2005, the Defense Base Realignment and Closure Commission (BRAC) recommended expanding Fort Sam Houston into the U.S. Military’s premier medical training base and making it home to the Army’s installation management and management of family support activities and community programs. The BRAC legislation not only provided Fort Sam Houston a future, but also a greater employment base with an estimated growth of 10,100 new jobs by 2011 and increased economic importance to the area. To prepare for the BRAC expansion, the Alamo Area Metropolitan Planning Organization (MPO) contracted the PBS&J team to identify improvement alternatives to the transportation systems immediately surrounding Fort Sam Houston and evaluate improvements as they relate to, and impact, the surrounding communities and overall region. Bus Rapid Transit (BRT) is public transportation that combines the best features of rail travel with the flexibility of bus service. BRT uses specialized rubber-tired vehicles that operate similar to light rail with faster and more frequent service and at a much lower cost. Preliminary studies by VIA Metropolitan Transit Authority (VIA) have identified Fredericksburg Road as the recommended pilot corridor for BRT implementation in San Antonio. The purpose of this study is to provide the framework and local requirements needed to implement an Incident Management System that involves detection, response and clearance of freeway incidents to minimize the disruption created by an accident. The study was accomplished by conducting a review of current practices, interviewing experienced transportation and emergency response personnel, documenting the findings, and summarizing the current status of incident management services. Incident management procedures were compared with other programs around the nation and in other countries to determine what elements would work well in the San Antonio region. The purpose of this document is to describe the Concept of Operations (ConOps) for the traffic incident management (TIM) program for the San Antonio region. In the simplest of terms, a ConOps describes how the “system” or “program” should function. As this document is read, the reader should consider that a TIM program is not one system, but a collection of systems, processes, procedures, agreements, and relationships. The TIM program is complimented by a collection of technology that supports the TIM program with identification and management of planned and unplanned events. And further, the TIM program is complimented by advanced traveler information systems and various means of communicating to the motoring public. 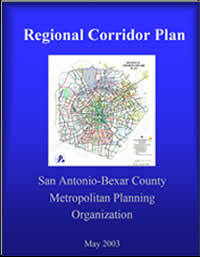 In February 2004, the MPO contracted with a local consulting firm to conduct an analysis of alternatives in the Fredericksburg Road corridor in northwest Bexar County. The northwest corridor includes San Antonio's largest employment centers and rapidly growing residential areas. The study analyzed a range of transit improvements that include roadway, bus service, technology, and guideway improvements. Bus Rapid Transit offers an opportunity for transit improvements, along with the redevelopment initiatives in the corridor, to spur revitalization and improve quality of life for people who live and work along Fredericksburg Road. 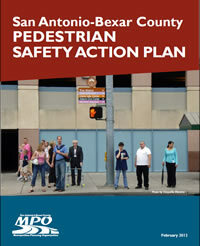 The Alamo Area Metropolitan Planning Organization Pedestrian Safety Action Plan (Plan) defines a set of actions to encourage walking and to make it safer. Increasing support for walking will make the transportation system more socially, environmentally, and economically sustainable. It will benefit all residents, including children, seniors, and persons with disabilities. It will enhance and encourage transit use, walking to school, and walking to other destinations such as parks and employment centers. This plan is a visionary, yet practical, action strategy to make the Alamo region a great place to walk. Taking advantage of the latest research, national guidance, and practice throughout the United States, the Plan provides a framework for making decisions about facility design and allocating resources necessary to make walking a viable choice for a wide variety of trips. Improving the convenience and safety of walking will increase social interaction on the street, offer alternatives to driving on congested roadways, and reduce pollution – benefits that will make the Alamo Metropolitan Area an even better place to live and work. The primary purpose of the Regional Bicycle and Pedestrian Planning Study was to assess current bicycle and pedestrian conditions in the City of Boerne, City of New Braunfels, City of Seguin and make recommendations on future facilities. Work specific to the City of San Antonio was to include recommendations for pedestrian facilities and conduct detailed work within the San Antonio Missions National Historical Park. The Regional Corridor Plan is a long-range transportation plan that represents the ultimate build-out of a thoroughfare system for the San Antonio area. 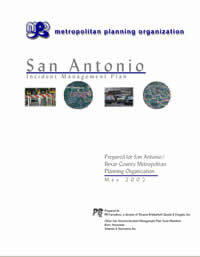 The Alamo Area Metropolitan Planning Organization (MPO), in partnership with the Texas Department of Transportation (TxDOT), VIA Metropolitan Transit (VIA), and other regional partners, evaluated the potential for managed and transit priority lanes to provide reliable travel on the region’s congested highway corridors, while increasing person throughput. In 2005, the Texas Department of Transportation’s Strategic Plan called for the development of a public transportation coordination plan at a regional level. Texas Transportation Commissioner Hope Andrade led the effort to implement a strategy to develop regional public transportation coordination plans. This study is in response to that planning strategy. Broadly, the project examines ways to more effectively “manage mobility” for the region. A major area of emphasis for this study is the coordination of services at the local level. The project included an evaluation of coordinated transit and human service transportation on a regional scale throughout the Alamo Area. The purpose of this study was to review existing major thoroughfare plans for consistency in alignment and functional classification as the roadways cross jurisdictional boundaries. 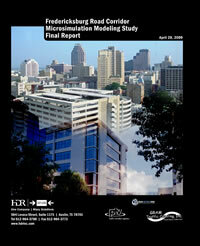 A constraints analysis and connectivity/capacity review were also components of this study. 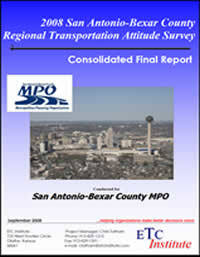 As a means of gaining statistically reliable data to document perceptions of regional transportation needs and issues, and determining preferences and priorities for transportation system enhancements, the MPO contracted with Telesurveys Research Associates and LKC Consulting Services, Inc. to conduct the first Regional Transportation Attitude Survey (RTAS). 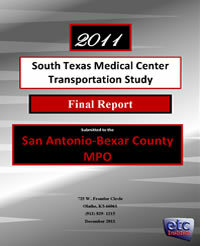 The MPO contracted with ETC Institute to conduct a survey of residents, employers, and transit users in the San Antonio-Bexar County region during the spring of 2008. The purpose of the survey was to gather input from residents in the San Antonio area to help set long-range transportation priorities for the region. 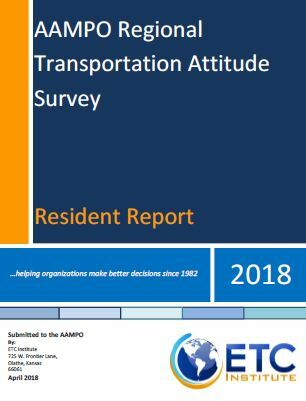 As a means of gaining statistically reliable data to document perceptions of regional transportation needs and issues, and determining preferences and priorities for transportation system enhancements, the MPO contracted with ETC Institute to conduct the Regional Transportation Attitude Survey III. Previous surveys were conducted in 1997-1998 and 2006-2007. During May 2006, the Alamo Area Metropolitan Planning Organization (MPO) administered a survey to a random sample of adults age 60 and older who live in Bexar County. The purpose of the survey was to objectively assess the transportation needs of seniors who live in the San Antonio area. The data gathered from this survey will be used to help develop strategies to meet current and future transportation needs of senior citizens in the region. In order to better understand the transportation needs in different parts of the region ETC Institute conducted a survey of visitors and employees of the South Texas Medical Center (STMC). The purpose of the survey was to gather input from visitors and employees to help set long-range transportation priorities for the South Texas Medical Center (STMC) area. The Title VI and Environmental Justice Project was an 18-month effort to research, identify, test, evaluate and document effective outreach strategies to encourage participation of community residents who historically have not been involved in the development of transportation projects. In addition, the planning project provided guidance to the transportation planning community to develop ways for reaching out to under-served populations in their area. This report documents TxDOT’s efforts to inform, and encourage major employers in San Antonio to use, travel options that are available to reduce congestion and reduce the cost of commuting. Special consideration was given to sections of the Loop 1604, US 281 North, IH 35 and Culebra Road since these have been identified as corridors on the Top 100 Congested Road Sections list. The purpose of this study was to quantify costs associated with transportation (car purchase, finance charges, rental or lease charges, gas and motor oil, maintenance, insurance and public transportation) and housing (purchase or rent, fuel, taxes, insurance, maintenance and repairs) compared to income..